Although some of them were leaked out from under the Iron Curtain of the Cold War days, and many more have been brought into the public arena since, many UFO incidents and conspiracies are still likely buried beneath the secrecy of political ideology and mutual mistrust. Considering how vast a country Russia is – and how much more territory the Soviet Union took in during its reign – combined with over four decades worth of suppressed information to be accounted for, there is surely a treasure trove of encounters still to be investigated. We have written of several of these strange incidents and reports before. The Boshich Space Wreckage for example is still one of the most intriguing reports on record. The strange Birdman of Pripyat is another bizarre series of encounters in the wake of the Chernobyl Disaster. ​Perhaps one of the most intriguing UFO encounters is that of the Voronezh sighting in 1989, thought by some to be disinformation, either to see how seriously the west would take such reports or just to simply feed outright false information. It is arguably a little of both. The fact that the report would enter the mainstream courtesy of the Russian news agency, TASS would also seem to suggest so. On 27th September 1989, according to the report, a huge, disc-like craft landed in full view of thousands of people on a busy day in the city of Voronezh. Several tall beings then exited the craft and took in their surroundings. They then re-entered the craft, taking off into the air, leaving a “strange residue” behind where their ship had been stationed. The following month in October 1989, TIME magazine even ran a story on the incident, and more to the point, why the Soviet Union would have allowed such a release to go international. According to Howard G. Chua-Eoan, he believed that the story was a way of testing the “glasnost policy” – an agreement between the two nations to an open media. 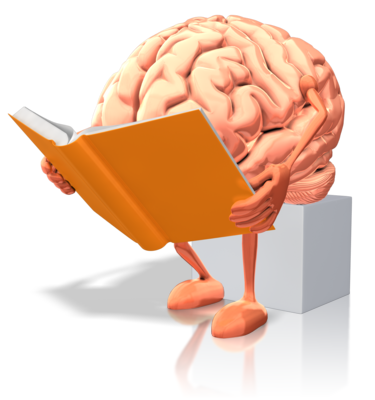 You can read this article in full here and check out the videos below for further viewing. An even more bizarre encounter is that of an apparent battle between Soviet military and alien beings, at the bottom of the icy Lake Baikal in Siberia. The account would come to light due to an apparent leak of official documents by a former Soviet navy officer, Vladimir Azhazha. According to Azhazha, in the winter of 1982, the Soviet military were monitoring reports of strange lights hovering over the lake (incidentally, the area is still considered a UFO hotspot). Military divers would venture down to the icy depths of the lake. They would witness several strange humanoid beings, each dressed in shiny silver clothing, and each wearing a small oxygen mask. The unit would launch an attack on the beings, who responded with a technology akin to a sonar weapon. Three of the unit were killed, and the four survivors had major injuries. You can read a little more of the encounter here, and you can check out the videos below. Although the incident didn’t occur in Russia, it did take place in Soviet controlled Berlin in East Germany. Largely because the Soviet regime stated that UFO sightings were in fact weapons tests “of the evils of the United States”, Linke would keep the encounter to himself until he finally managed to escape the repressed existence on the east side of the Berlin Wall. To make it known of a belief in such sightings invited government “interest” in you that could result in imprisonment. Once Linke settled in the west to begin his new life with his family, he would tell of his encounter to a Greek newspaper. 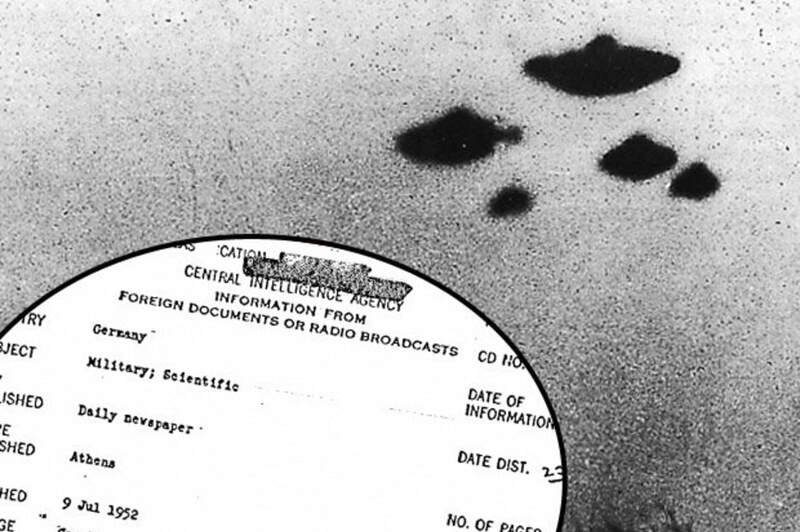 Interestingly, the CIA would use the newspaper article as a source and put the incident on their own records. ​In the summer of 1952, as he was making his way home with his eleven-year old daughter, Gabriella, the pair would spot something in the distance. Believing it to be a deer, the pair crept forward to get a better look. They soon realised it wasn’t a deer. 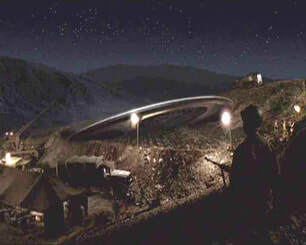 Settling around forty meters away from the scene, Oscar and Gabriella could see two men examining the ground in front of them with bright lights flashing from their “shiny, metallic clothing!” Nearby was some kind of craft that resembled a “huge frying pan” with a “black conical tower” on the top of it. You can read the CIA file here. Maybe one of the most interesting UFO encounters is one experienced by an apparent Soviet war hero pilot, who “doesn’t exist” and “is no hero of the Soviet Union!” At least that is what UFO researcher, Timothy Good, was told when he questioned Soviet officials. According to the account put forward by Good, Arkady Ivanovich Apraksin was one of the most highly decorated pilots in Soviet history. So much so, that in the years after the Second World War, he would become the finest test pilot for the Soviet military, putting the cutting edge of Soviet aviation technology through their paces. On one such test flight on 16th June 1948, he would witness a “cucumber-shaped” craft in the skies in front of him. It was heading straight for him. When it got within ten kilometres of his plane, it vanished out of sight. At the same time, Apraksin’s plane failed and he was forced to make an emergency landing. He would have another encounter just short of a year later in May 1949. Again, the craft would interfere with his plane, and this time, although he managed to land again, he sustained substantial, injury. It appeared at this point, the Soviet regime were putting his removal from history into action. He would be sent for “re-evaluation” and then eventually registered as “Group One Disabled” – this basically meant he was not fit for active service. ​Apraksin literally vanished in the years following his time as a test pilot. Was this due to embarrassment on the regime’s part of a pilot speaking of such “crazy” things. Or was he being removed from official records for another reason? 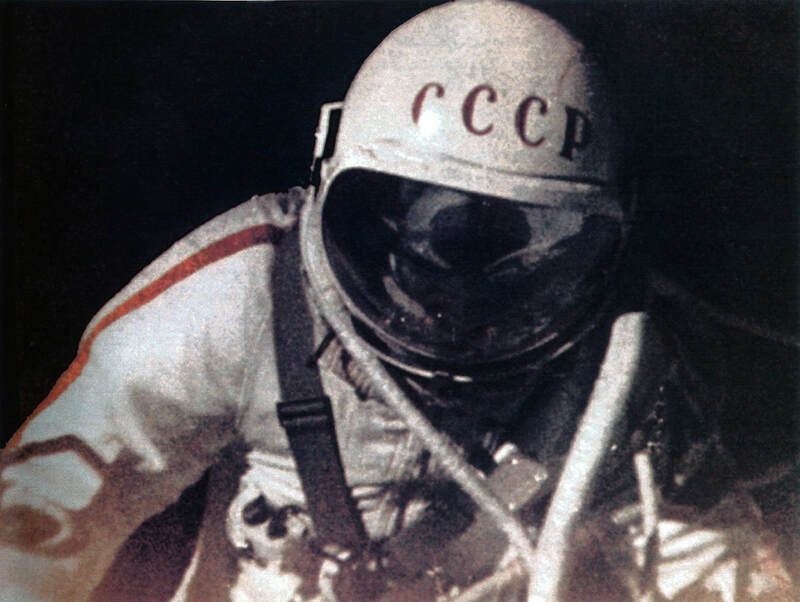 Perhaps one of the most outlandish and chilling conspiracies said to have played out behind the wall of the Soviet Union during the Cold War is that of the Lost Cosmonauts. While there is no solid proof that the recordings said to have been intercepted by the Judica-Cordiglia brothers in 1961 are one-hundred percent genuine, the battle for the stars between the United States and the Soviet Union was very real, and so does lend a little bit of credibility to the claim. It is really that much of a stretch of the imagination to think that in their desire to score a huge propaganda victory over the United States (and the west as a whole), tragedies were downplayed and essentially kept out of the history books altogether? The brothers claimed to have intercepted a total of nine such recordings altogether, but one in particular was especially harrowing. Claimed by the brothers to have been recorded in May 1961, the two minute audio is of a female cosmonaut communicating her concerns that her pod is about to burn up upon re-entry. Incidentally, there is no reply from the assumed control tower, despite the woman’s pleas that “I can see a flame! I can see a flame! I feel hot!” You can read a full transcript of the encounter here. One last point worth mentioning here is, despite the Soviet government (at the time) and the Russian government denying there being any truth to the claims, is an apparent report from the old Soviet news agency TASS, who claimed an “unmanned satellite” had come back to Earth on 26th May 1961. Many believe this unmanned satellite was actually the remains of the unfortunate female cosmonaut. You can read a little more about that here and here. If there is any truth at all to the Judica-Cordiglia brother’s claims, then somewhere in space – possibly still in the Earth’s orbit – there are several early 1960s space pods-turned-floating tombs containing the bodies of several unknown space pilots. Perhaps one of them was the aforementioned Arkady Ivanovich Apraksin. Check out the videos below. The first looks at the alleged recording of the unknown female cosmonaut, while the following videos look at the Lost Cosmonauts conspiracy in a little more detail. The video below those looks at the conspiracy of Soviet UFO files.